This heavy off-white cotton tunic has a matching lining. 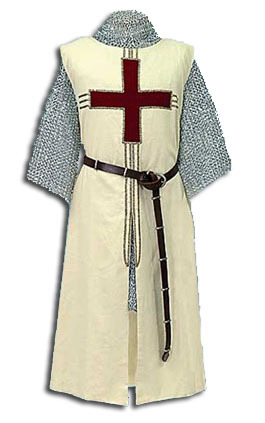 A blood red Crusader’s cross is sewn to the chest, while gold trim forms both an outline and sun rays in four directions. Dry clean only. Choose S/M or L/XL.